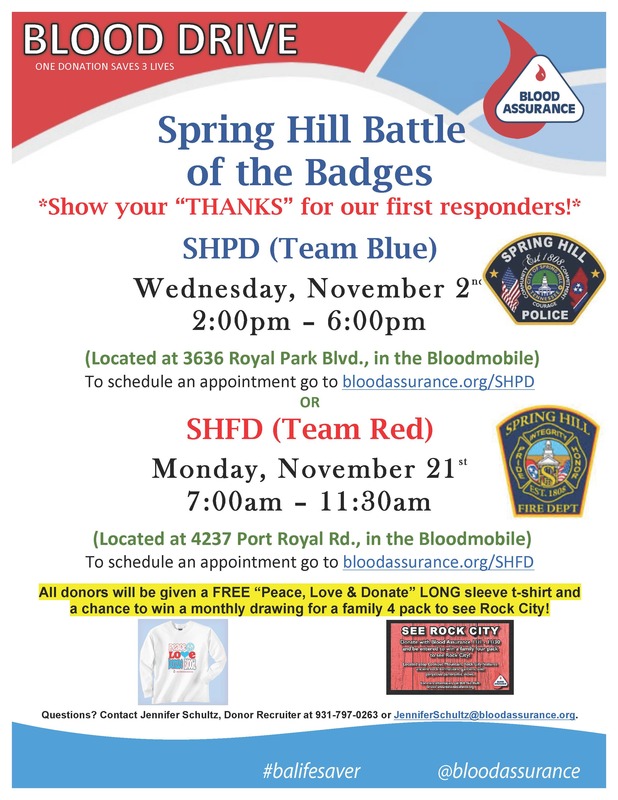 Come on out and support our local first responders as Spring Hill Police (Team Blue) and Fire (Team Red) Departments compete in the Battle of the Badges Blood Drive. See flier for details. All donors will receive a free “Peace, Love & Donate” long-sleeve T-shirt and a chance to win a monthly drawing for a family four-pack to see Rock City.